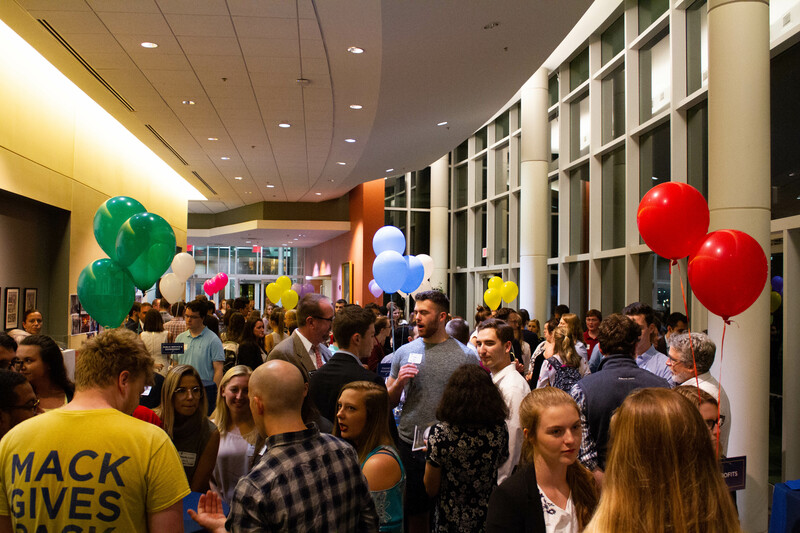 Merrimack College hosted its 3rd Annual Liberal Arts Career Night on Wednesday, September 26th, 2018, featuring keynote speaker Sean Kavanaugh as well as twenty-two alumni working in various fields. These fields include, but were not limited to Advertising, Marketing, and Public Relations, Government and Law, Management and Finances, and Education. Students showed up engaged and ready to network with alumni in their respective possible future career paths. Sean Kavanaugh graduated from Merrimack College in 1977 with a degree in psychology and is now the CEO of The Ariel Group, a company in which connects storytelling with the professional world. During his speech, Kavanaugh gave some inspirational insight into turning failures into our greatest strengths. Showing the Merrimack community that it takes the courage to risk falling in order to get back on your feet, especially in the real world. Emma Hogan, a student at Merrimack College attended both last years Liberal Arts Career Night as well as this year. She said, “I really appreciated how this year the alumni were younger, it made it easier to connect with some of them. It was definitely a good mix of professions stemming from the Liberal Arts field, it really let me explore my options.” The participation between students, alumni, faculty showcased the appreciation the Merrimack community has for all of the people who make the annual Liberal Arts Career Nights possible. A special thank you to keynote speaker and alumni Sean Kavanaugh for his motivational words, truly teaching everyone to go through life, risking the failure in order to achieve the goal.